Margaret G. “Peggy” Stanton won four straight National Women’s with Charlotte Lee from 1967-1970, and the Women’s 50+ in 1974 and 1977. She was active in promoting and teaching the women’s game and became the first woman director of the APTA in 1971 and, concomitantly, the first APTA women's tournament director, a position she held for three years. (Field Club of Greenwich). In 1961, women’s platform tennis took on a different character. 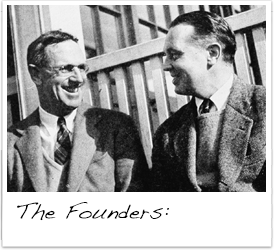 From 1935 until that time, play in the final round of the Women’s Nationals had been dominated, and probably rightfully so, by players from Scarsdale and the Fox Meadow Tennis Club, the birthplace of platform tennis. The change was swift, and while by no means wholesale, certainly a new dominance was evident. The locals were experiencing fierce and impressive competition from new players in the game from neighboring Connecticut and New Jersey. These new players changed the game and brought women’s competition to new levels of play. Peggy Stanton was part of this new breed of competitors, and quickly and decisively made her mark on the game. Peggy’s partner, Charlotte Lee, was probably one of the finest women players to ever play the game. But, it in no way detracts from her record for, to play with the best, you have to be in that league to begin with. How good was she? Well, if the best lived in the wilds of New Jersey, and Peggy resided in the midst of Fairfield County, CT, a sizeable distance away, even with gas at only 35¢ a gallon, she was pretty good. Charlotte Lee said of her that, “it was her dedicated team effort that brought us to the finals so many times. Her concentration was marvelous. We rarely had to verbally communicate so great was her ability to work together and anticipate the moves of the opponent.” Stanton and Lee won the Women’s Nationals their first time out as a team in 1967, and three more times consecutively in 1968, 1969 and 1970. They were also finalists in 1971, so, they were in the last match of the tournament five out of five times. 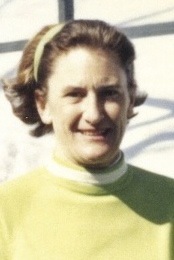 Stanton also won the Senior Women’s 50+ in 1974 and 1977, and was a finalist in 1976, as well as in the Mixed Nationals in 1969. Stanton had one of the best returns of service in the game and a deft drop shot. Her drop shot was often hit from the backcourt, an extremely difficult shot in platform tennis. She was deceptive at net, as opponents couldn’t tell where she would volley the ball, as her footwork and upper body rarely telegraphed the shot. But, probably her most distinctive characteristic was her concentration, and her strongest point was her tremendous will to win. Both partners and opponents alike agreed that she was a terrific competitor. If there was ever any shortfall technically, she made up for it with her aggressiveness. She wanted every point and was on her toes every second. Peggy operated on the court with a point-by-point philosophy and, especially when down, played each point as if it were the last. Peggy also believed in practice. Stanton worked endlessly at her game, and took to practice the same kind of determination and spirit she took to competition. In one practice session with her partner against two other top women, one member of the opposing team fell to the court with a badly twisted knee, a not uncommon malady of paddle. Our candidate looked at the injured opponent and ran from the court, across the lawn and into the clubhouse. To get the first aid kit? To get ice from the freezer? To phone for a doctor? None of those. She ran to the pro shop to see if the club pro could fill in right away as a fourth. This was a practice session and it wasn’t going to end prematurely. Her efforts for the game and for the cause of giving women’s paddle its rightful status did not go unnoticed. In 1971, Stanton was named both the first woman director of the APTA and the first APTA women’s tournament director, a position she held for three years. Stanton worked for the game and worked to teach it to others. She was as good a coach as she was a player, and had the ability to pick up what a player was doing right or wrong without hesitation. She played many exhibitions and, after them, worked with the new players who were there watching. For years, she gave clinics at clubs all over this part of the country and was a teaching professional with her senior women’s partner in Greenwich. Peggy was also quite a woman off the court. As a young lady, she was a fashion publicist in Paris and traveled over Europe for Givenchy, then became an artist representative and finally a real estate broker in Bedford, New York and Quogue, Long Island. Biographical Note: Born in New York City, she attended the Nightingale Bamford School, Rosemary Hall in Greenwich and graduated in 1944 from Colby-Sawyer College in New London, N.H. She obtained her first job in publicity at American President Lines in San Francisco in 1947. She returned to NYC to work for Ruth Hammer Assoc. in fashion publicity where she became the publicity director for the fashion designer, Hubert De Givenchy from 1952 to 1954. She continued her career in publicity working for Ley Renwick Realty in Bedford, N.Y. from 1970 to 1982. She received her New York State real estate license and worked for Quogue Realty Co. from 1970 to 2002.